Spring has finally sprung here in the beautiful Pacific Northwest and let me tell you, I AM READY! I've come to realize that I am very much a hot weather kind of girl and I cannot wait for the sunshine to return to Seattle in full force. 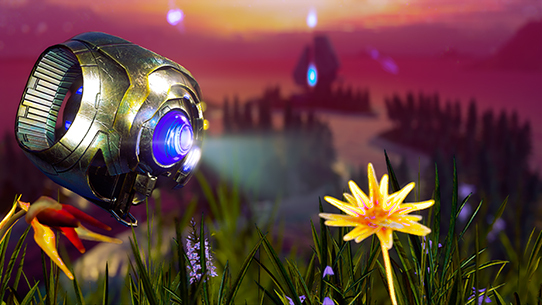 While I wait for those bright rays to reach us, the studio is working on brightening things up around here by showcasing some of your Spotlights internally so everyone can see how incredibly talented our community is. We know that not everyone has the time to read blogs or search out the content for themselves so by putting some of the work up on the screens here in-house, we're making sure to share the love with the studio. 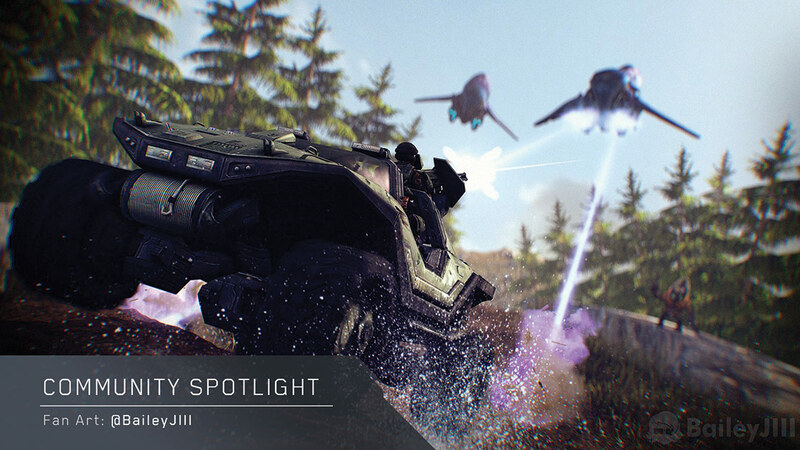 @BaileyJIII's Warthog/Banshee chase is both action-packed and the perfect example of what our Studio Spotlights will look like! We're really proud of all of you (I mean, we DO have the best/most talented community out there so it's justifiable pride, really) and being able to show everyone off is a win/win in my book. Before we get going with the bulk of the Spotlight, I want to give you guys a soundtrack to read along to. This is the content we are all here for, so it is my pleasure to bring you the Halo Theme Kazoo Orchestra. No need to thank me. No really, don't thank me - just enjoy! Now that you are all kazoo-ing along with the Halo theme, it's the perfect time to get into some Halo content. I expect you all to have that soundtrack on loop for the duration! Apparently there's a new Avengers movie in the works and coming out soon? I haven't seen a Marvel movie in a very long time and it has caused a lot of consternation among some people(Sorry, Ron!). 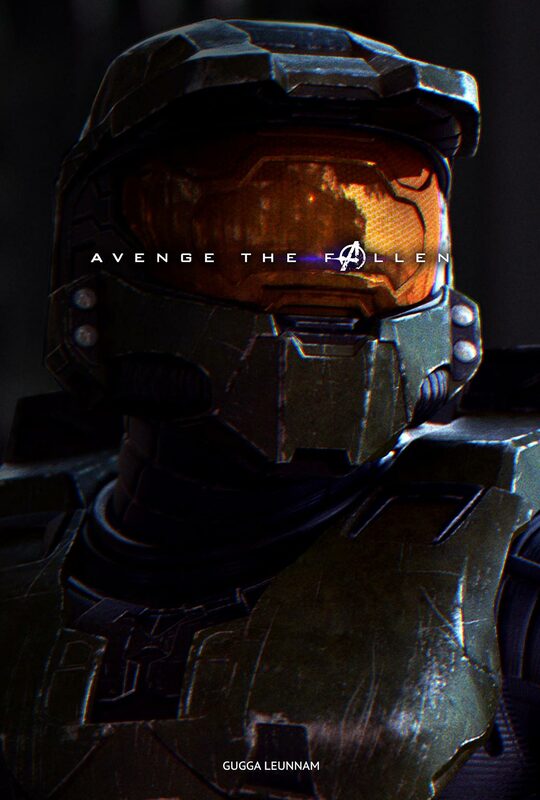 Anyways, I just know my Twitter feed has been full of these "Avenge the Fallen" pictures and then everyone was sending links my way so I guess here's your Halo cast of Endgame. 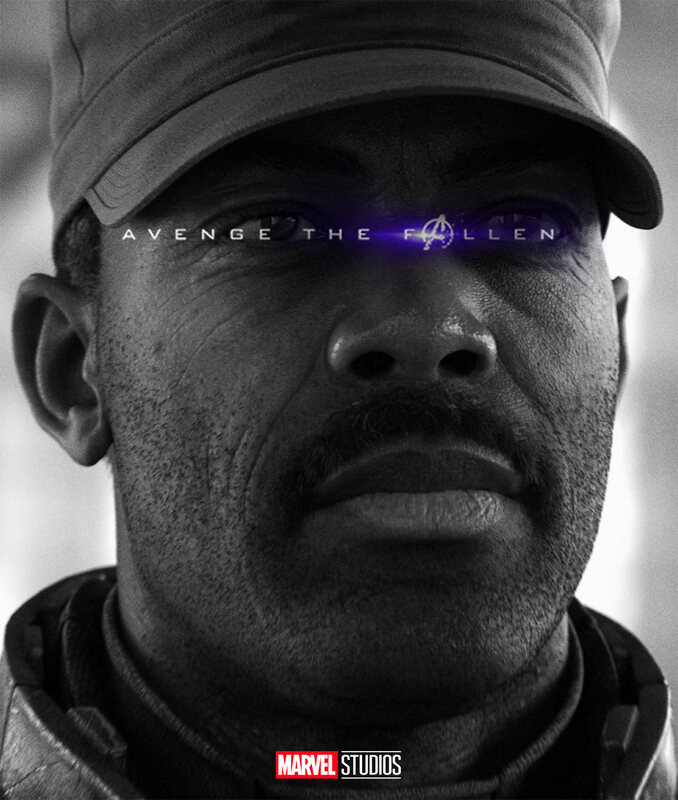 Then /u/OfficerMasterChief put his own spin on the Endgame theme and brought us *checks notes* The Rookie. *looks back at username and back at notes* Yep, I got it right. Not what I expected but sure, we can work with it! 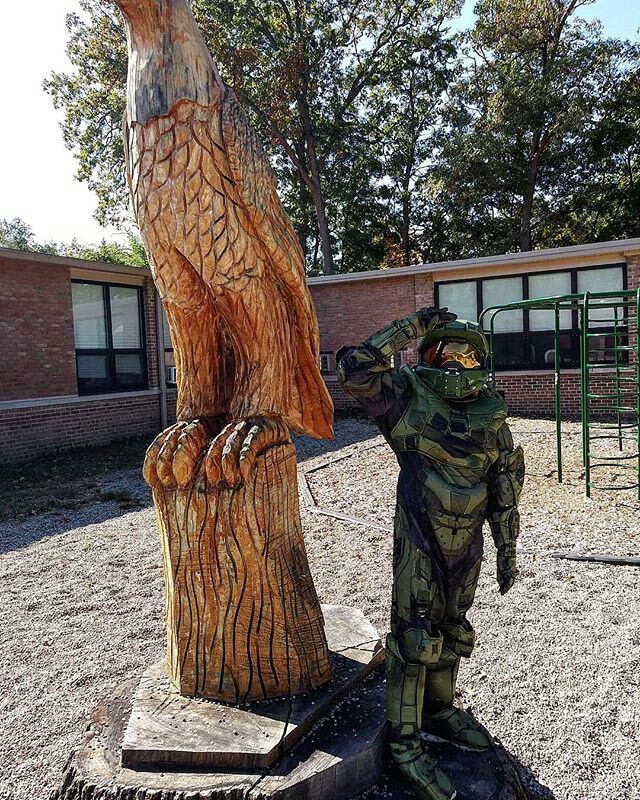 So while OfficerMasterChief let us down, it looks like /u/leunnam has us covered and brought us Master Chief, whatever the cost. 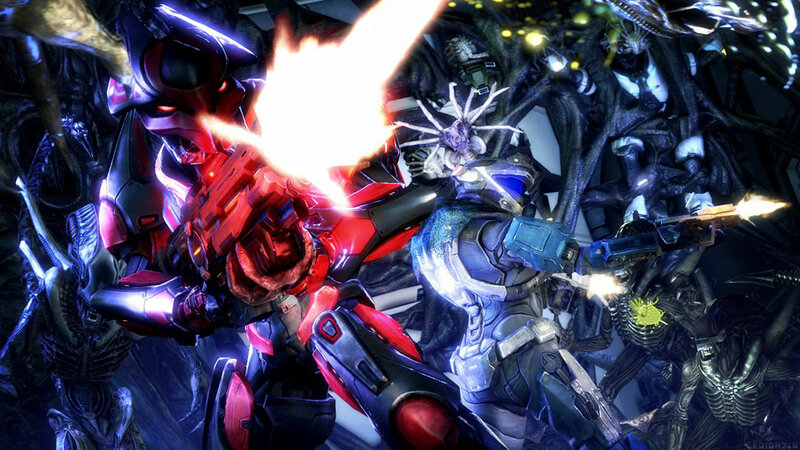 I don't know who the guys above are fighting but maybe they're getting involved in this fight with Xenomorphs that @Legion716 was commissioned to make for @CommanderNova26. 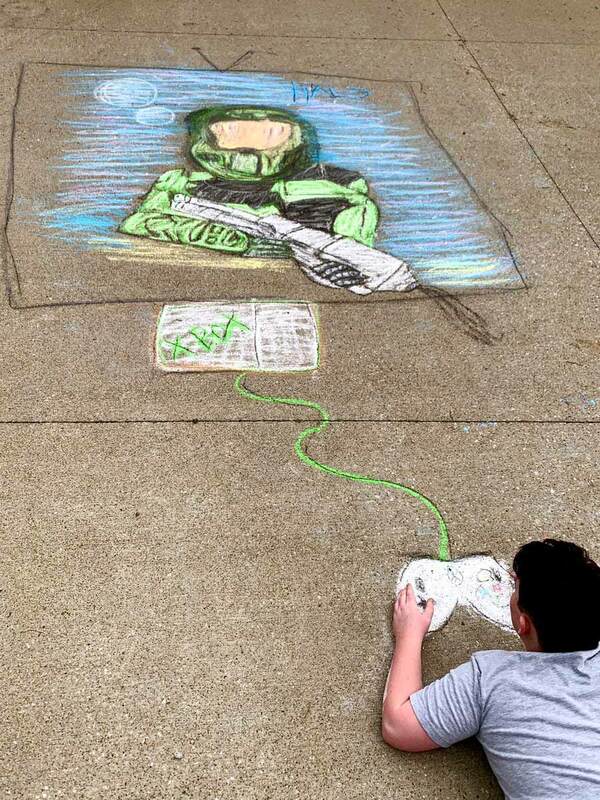 This grew on me the more I looked it over, it's pretty awesome. 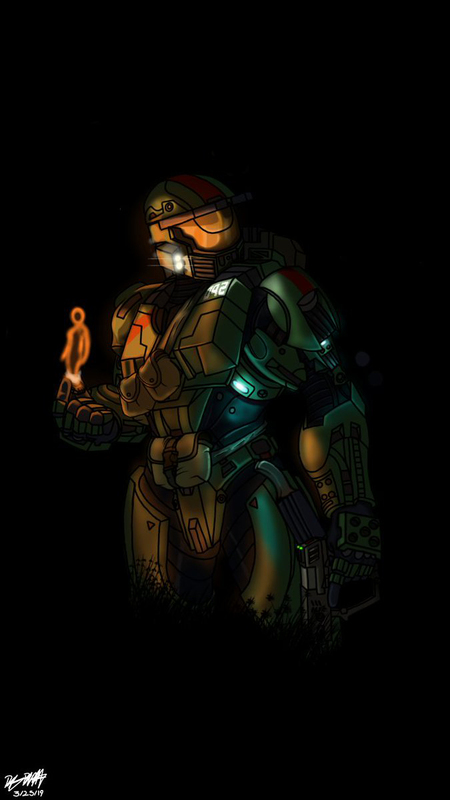 If your tastes tend more towards the simple and uncluttered, check out @N0BL3_BL00D's "Burn Bright, Burn Blue" Spartan. 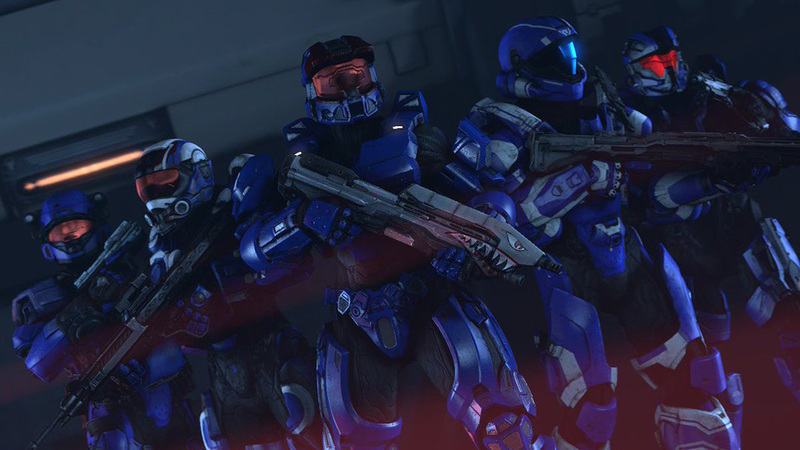 While we're on the subject of "blue," check out @xtremish's Blue Team render! (Not THAT Blue Team...) Even the AR skin looks menacing. Speaking of menacing teams, @cole_protocol did some work for Sins of the Prophets and you can see The Seeker of Truth himself with his bodyguards. While "cute" isn't really a good word for this next piece, it's definitely a bit more light hearted in nature and one of my favorites for this Spotlight. 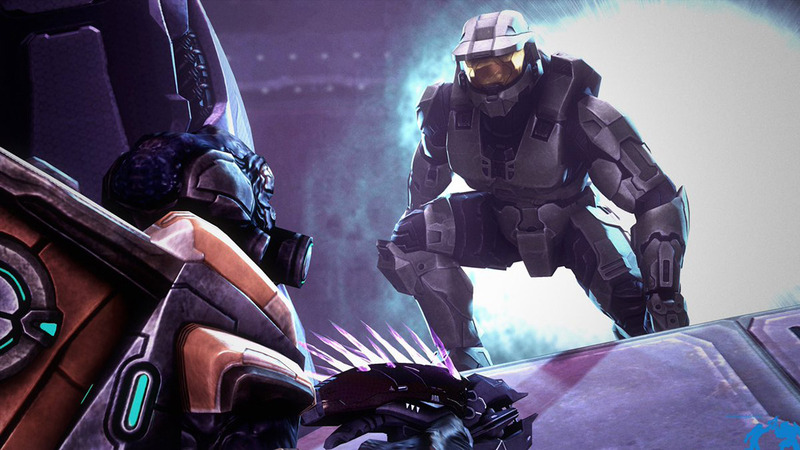 @benoski73 rendered his take on a Halo 2 moment and the Grunt's look of surprise is priceless. Emotes are a big thing in today's digital age. They're used on streams, Discord, and tons of platforms. 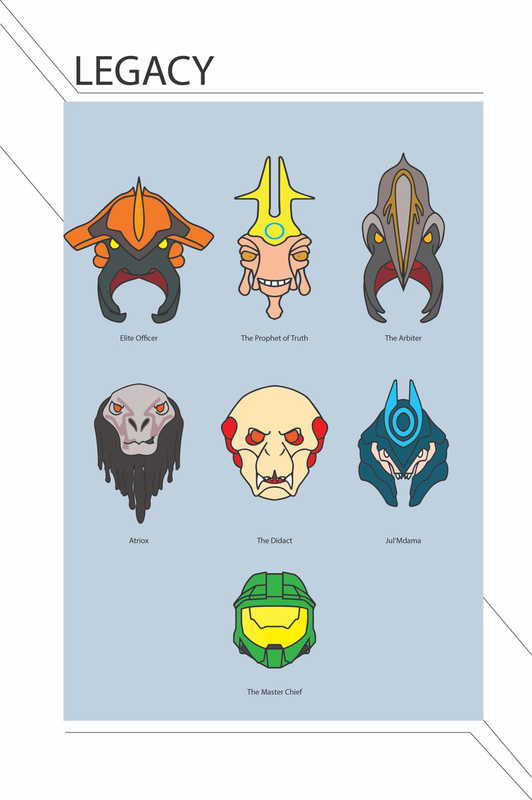 @ClebMaher took a stab at some Halo emotes for school and I love how they turned out! He also did some less traditional characters which makes them extra unique. I went to look at @InstinctGodly's other works because I thought this was a fun screenshot but turns out, this is it. The one and only tweet (literally!) 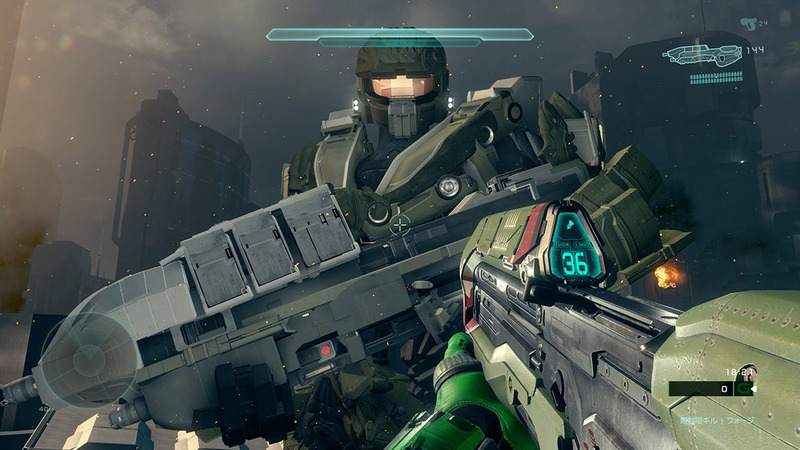 is a Spartan screenshot. I love the spooky aspect to it. If you ever ask me where I feel the calmest and centered, my answer will always involve water. Ocean, rivers, waterfalls - I love them all. 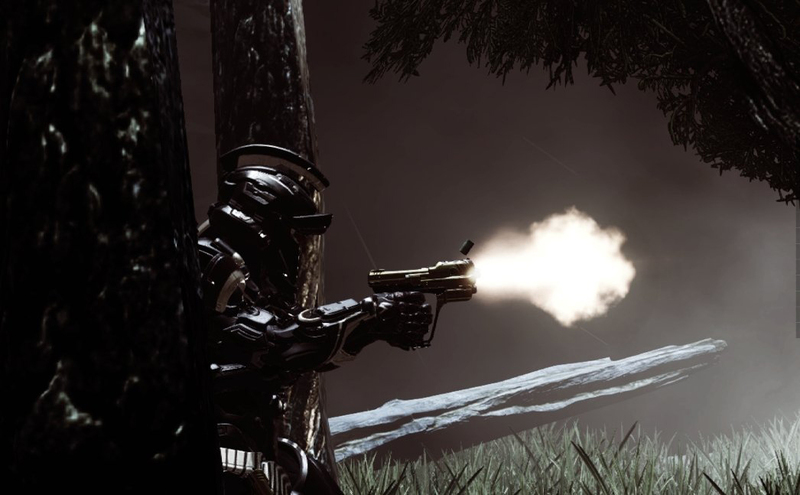 So seeing this campaign screenshot from @Thecrazedspartan made inner me happy. Yes there's a Phantom there intent on destruction but that's not the point right now! 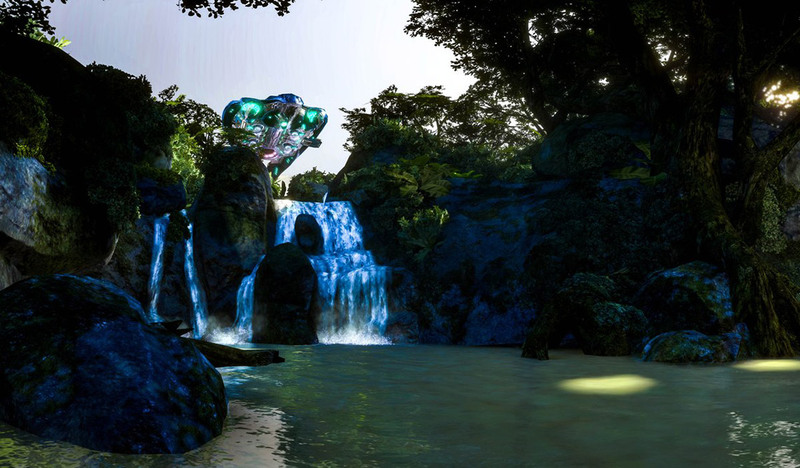 The waterfall and surrounding pool are lovely and I can almost feel the spray from the waterfall on my face. 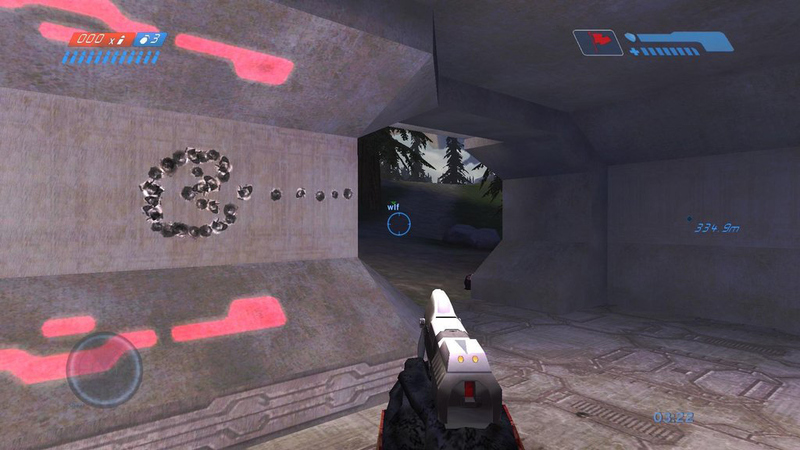 We've all been here at some point during a Halo game. You're playing base defense and have to find ways to entertain yourself. We usually go for Tic-Tac-Toe but /u/hoxbat went for Pac-Man! I've never seen that before but I just hope they don't need more than one clip of ammo! This is so cute. Pac-Man even has an eyeball! At least if you're hiding in the base playing Pac-Man, you're not out in the open ready to get sniped by @Nuvelous. I love the composition and just the sheer badass feeling this exudes. I apologize in advance for the brightness, but I really love this. I don't know why, but I do. According to @halofeed_, this is unedited and I just really really like the pink/green contrast. Definitely feels like springtime! 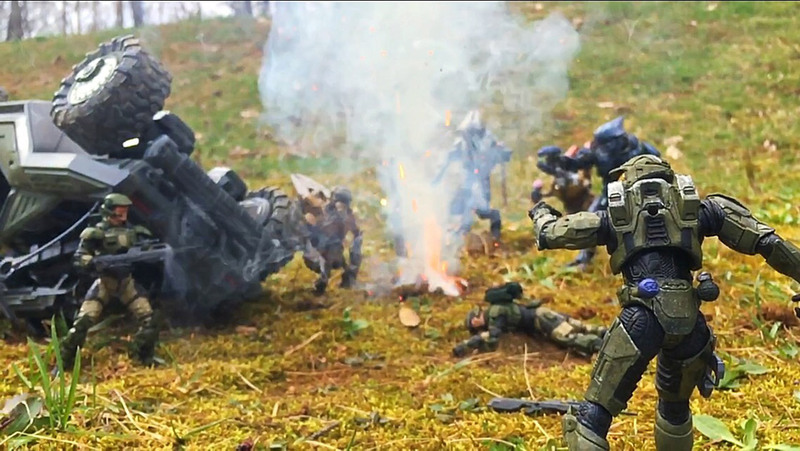 I love seeing how creative people get with the toys and minifigs that exist for Halo. /u/dovahkiin0117 called this "Frag Out!" and I can confirm I wouldn't want to be anywhere near this when that frag goes off. It's no secret that good forgers are secretly Wizards in disguise. (Have you seen Tom French's beard? I'm pretty sure that's Wizard tier.) @xb1webrider must be the Wizard's Apprentice because his forge works are incredible. 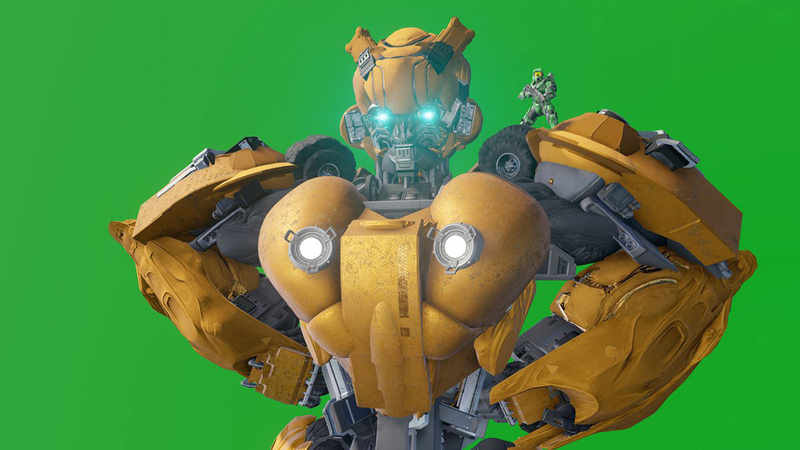 I mean, just look at Bumblebee. HE'S SO CUTE. 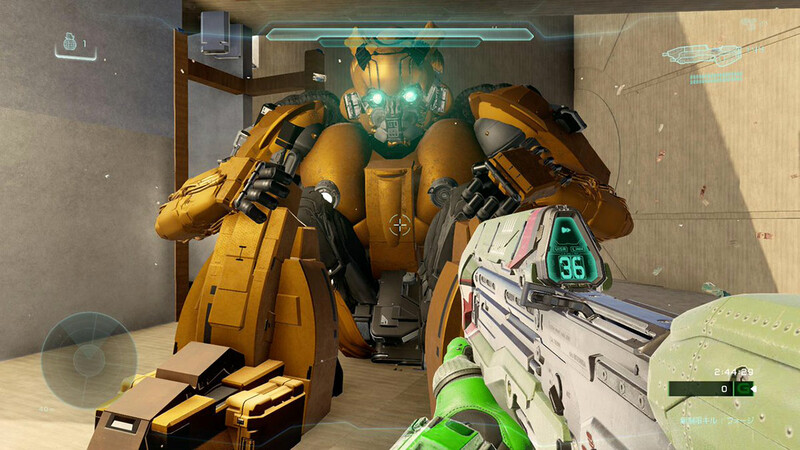 Equally as impressive as Bumblebee is this massive MA5B Assault Rifle forge grouping. That's not the cool part. THIS is the cool part, check out this clip! If you want to check out the forge groupings for yourself, head over to Yukikage0501's Waypoint profile here! 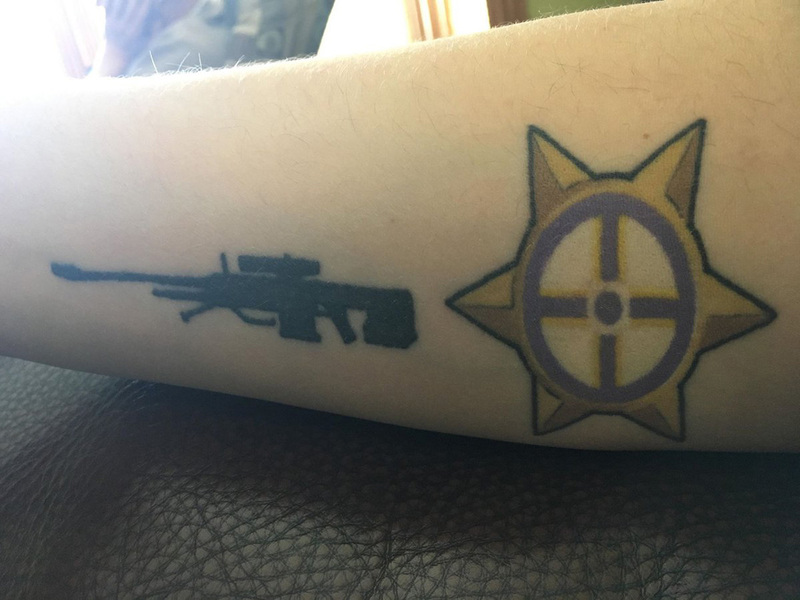 It wouldn't be a Community Spotlight without some cosplay and Halo tattoos, so let's take a peek at what we have here. 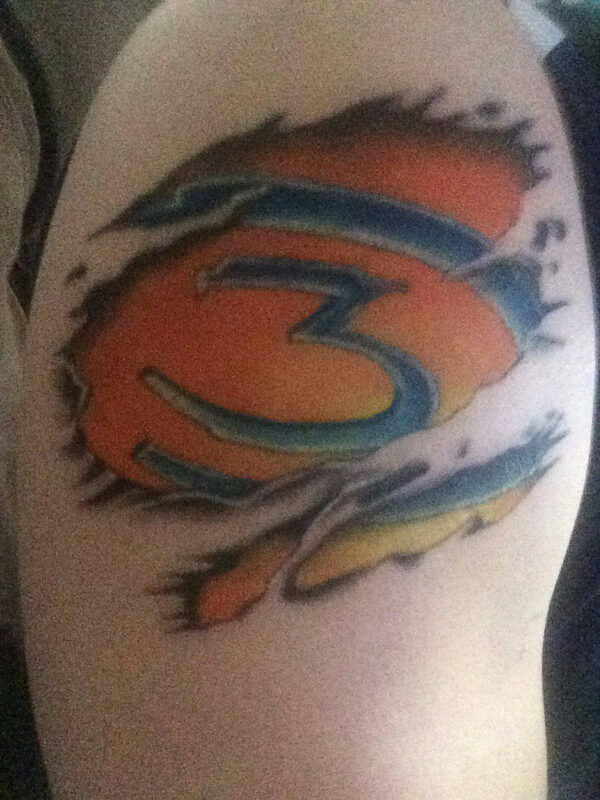 With the current Halo 3 throwback events happening, @IGoTNoAiMBoT shared his pretty sweet Halo 3 tattoos with us and I really dig the Halo 3 logo one! 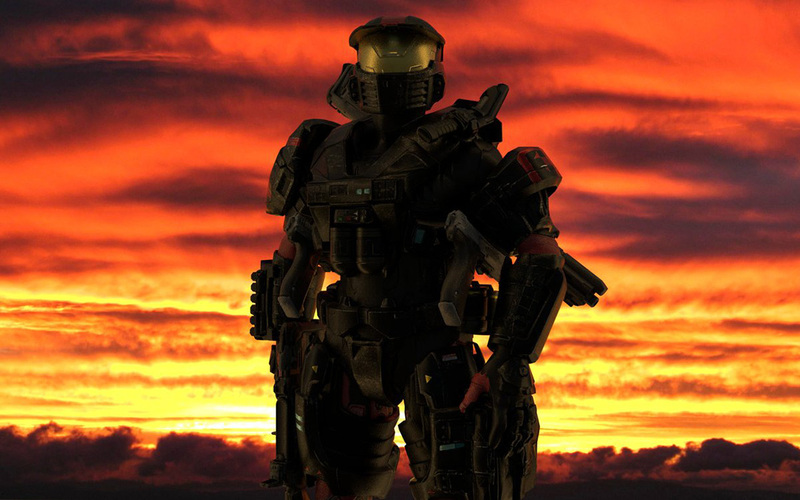 We see a lot of cosplay but we don't really see a lot from Halo Wars' Red Team which, in my opinion, is unfortunate. So when I saw @LadyAmbient showing off her Alice-130 cosplay, I absolutely jumped on the chance to show it off! 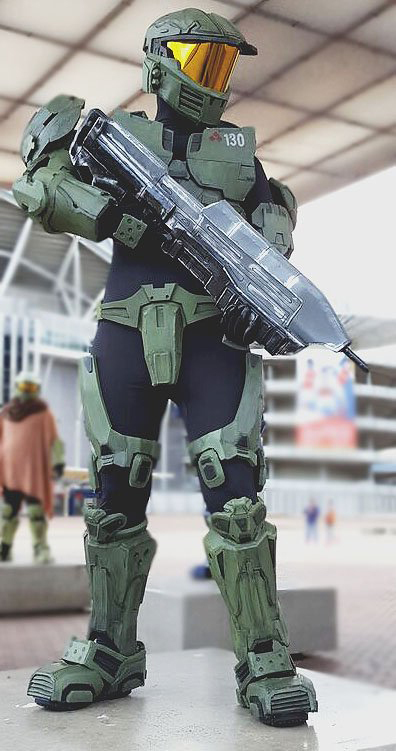 Mini-Chief cosplays always make me really happy. I love seeing kids excited about Halo and @fiss.of.fury's little girl is no exception. 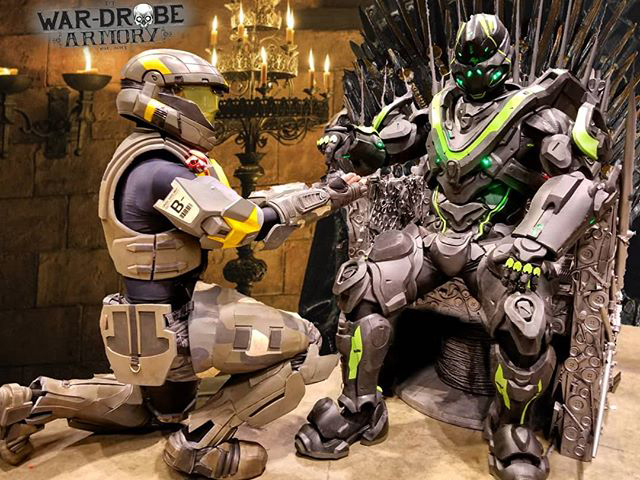 The folks over at @thewardrobearmory stopped by C2E2 and, with the new Game of Thrones coming out, put a very literal twist on "Hail to the King." 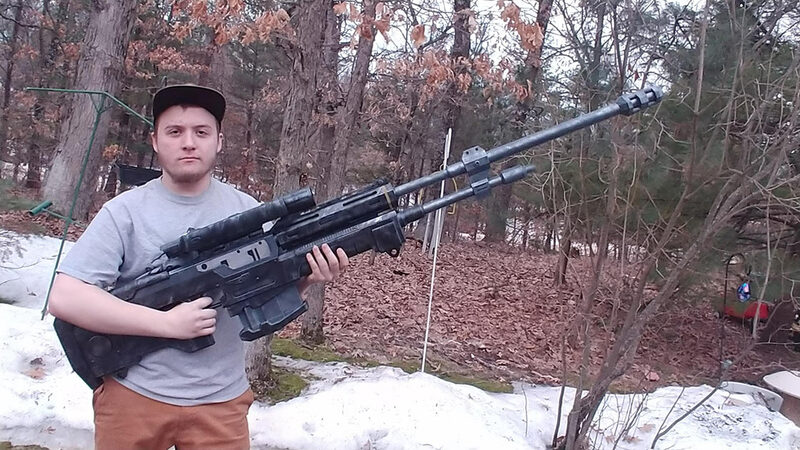 I really love seeing how people design and create replicas of Halo weapons. 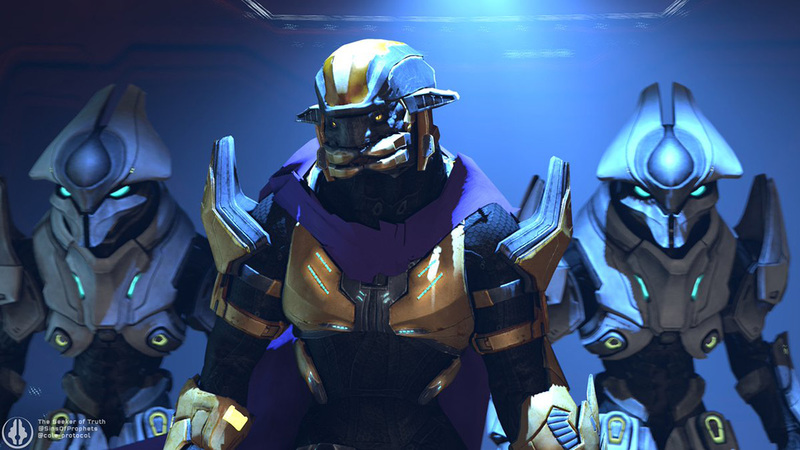 We've seen Arclights, Energy Swords, there's a Nornfang down in our museum, and there have been many others. 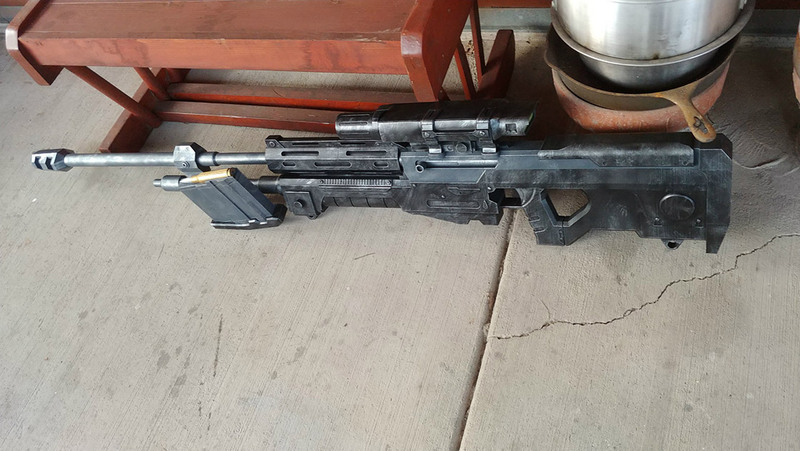 /u/TheApropalypse took a shot at making a replica of the Halo: Reach sniper rifle. 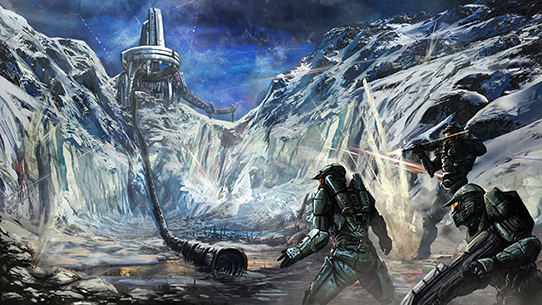 Just in time for the upcoming addition of Halo: Reach to the MCC! I was going to claim that this section was my favorite of the Spotlight but I realized I've probably said that about all of them. What can I say? They're all my favorites which is why they're all in the blog! I'm noticing that a lot of you are taking to sketching when bored in class and on the one hand, we get really cool pencil drawings. On the other, you should be paying attention in school! Consider this me scolding you, /u/3Doxito. 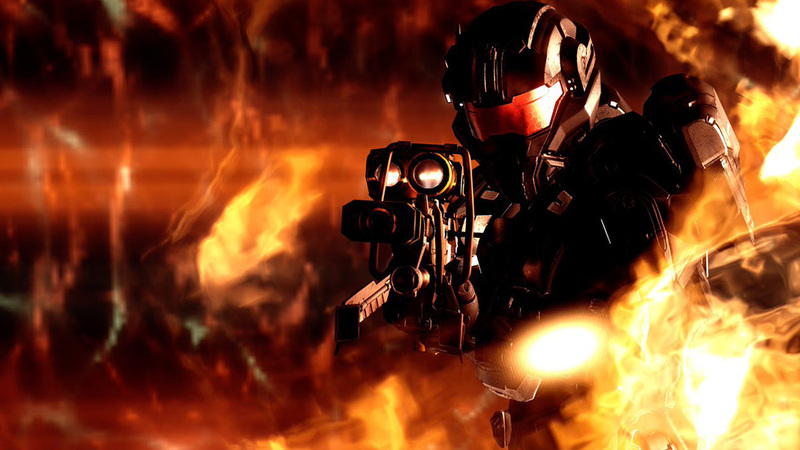 @NodorTheConquer created his own Spartan, Noah A-242, with Halo: Reach in mind. I love the sunset background. 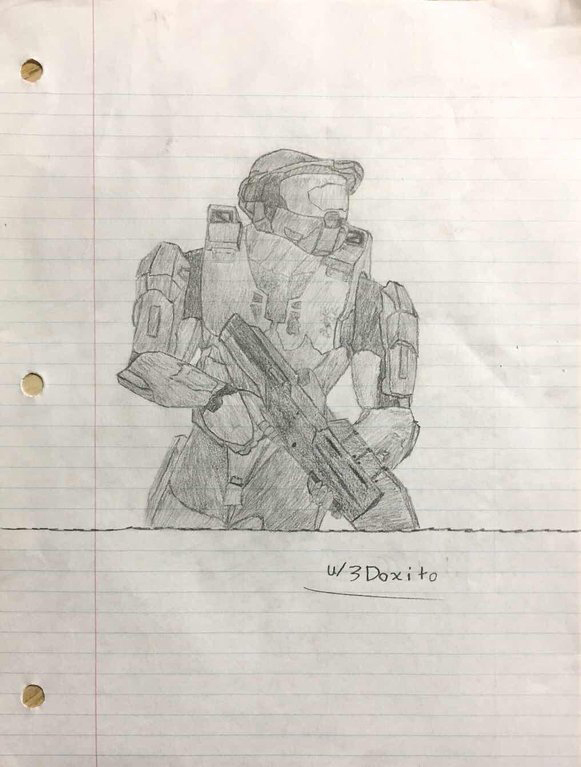 Meanwhile, @DeltaHaloCRcore created this Spartan and AI and apparently this is "as done as it's gonna get." It's still infinitely better than anything I can do and I think it's super awesome. I love seeing our established character art but I especially love seeing art of your own head-canon characters! 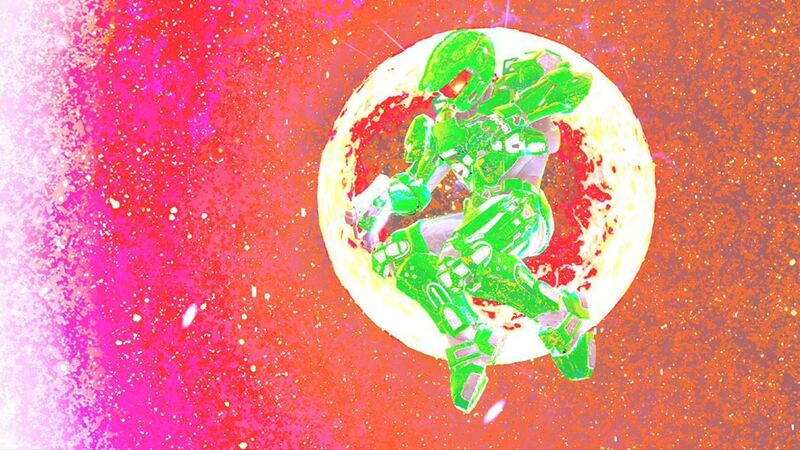 Somehow Halochief89RvB has flown entirely under my personal radar despite updating his Waypoint thread with art fairly consistently over the past **5** years. I really don't know how I've missed it, and with all the time I've spent on Waypoint I have no excuse, but I am glad I found it now! 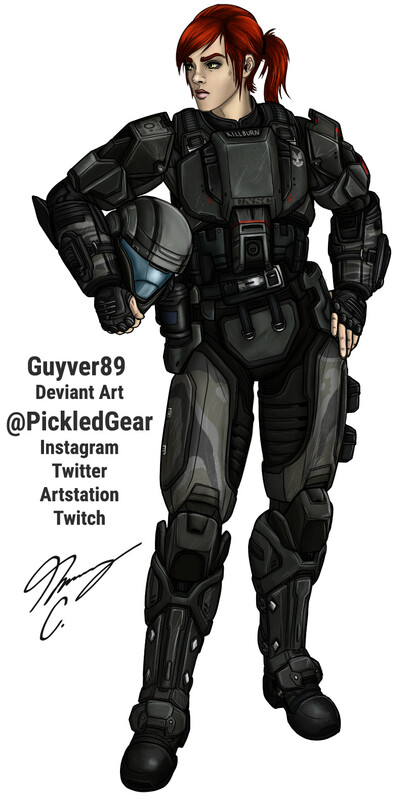 This is one of my favorites from his recent post and is a commissioned ODST. I get some Dare vibes off her. Love the badass/sassy combo. This piece by @sjaslack got a fair amount of love on Twitter and, well, I'll just show you why. It's incredible. Hopefully everyone is aware that we have some Fire/Ice Unicorn AR skins in Halo 5. If not, you live under a rock that's bigger than mine and that's pretty impressive honestly. @TedStrong48 wasn't satisfied with the idea of a Fire OR Ice skin and came up with a really awesome Fire and Ice AR skin and I kind of wish he hadn't because now I'm sad this isn't real. Remember when I said I liked artist visions? 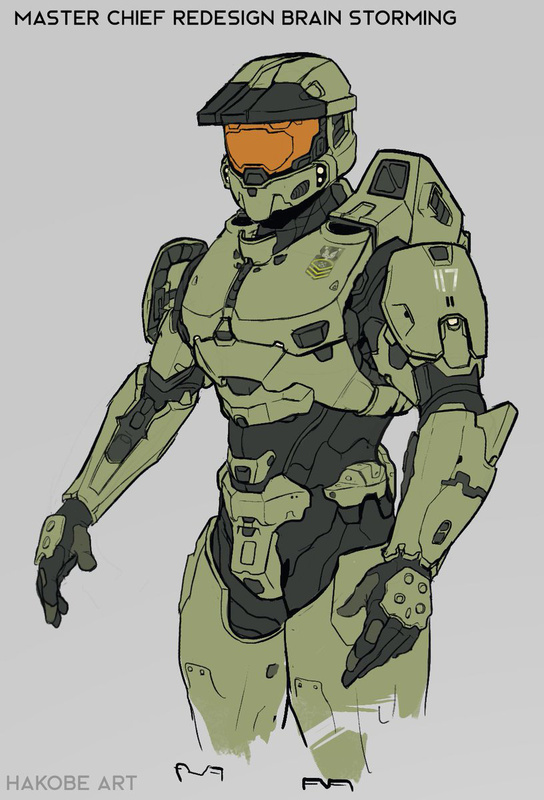 Check out @Hakobe15's take on Master Chief using all of his favorite armors across titles. Step right up and check out this week's selection of videos for your viewing pleasure! 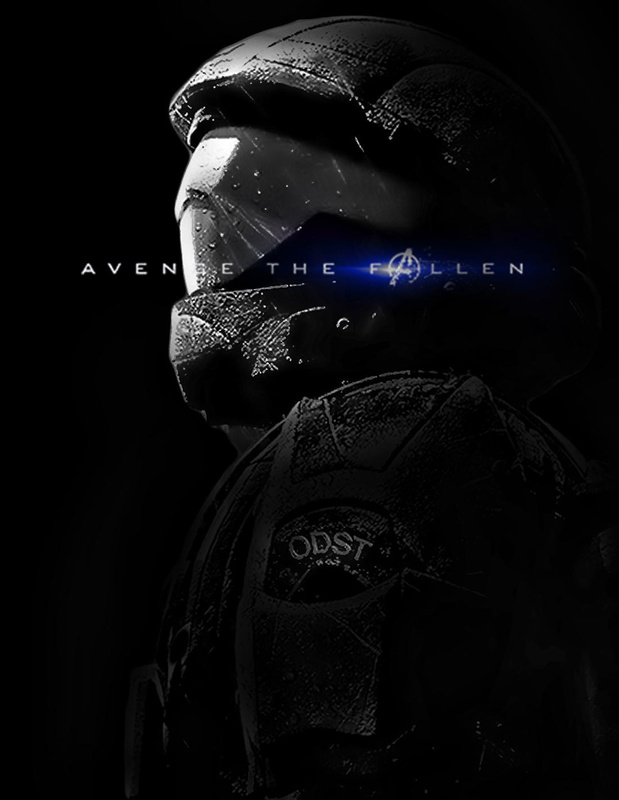 We started things off with some Avengers action so it's only fitting to kick off the videos with a Halo 2 trailer, Avengers: Endgame style, by @GuggaLeunnam. I have no idea what's going on in the Marvelverse but Halo I do know and this is absolutely fantastic. Once upon a time, I was cool enough to get a clip put into a Top 10 Kills montage but those days are long past. While I mourn that fact, I'm going to sit and watch @IndirectHCS's Halo 3 Top 10 Kills, Episode 2! 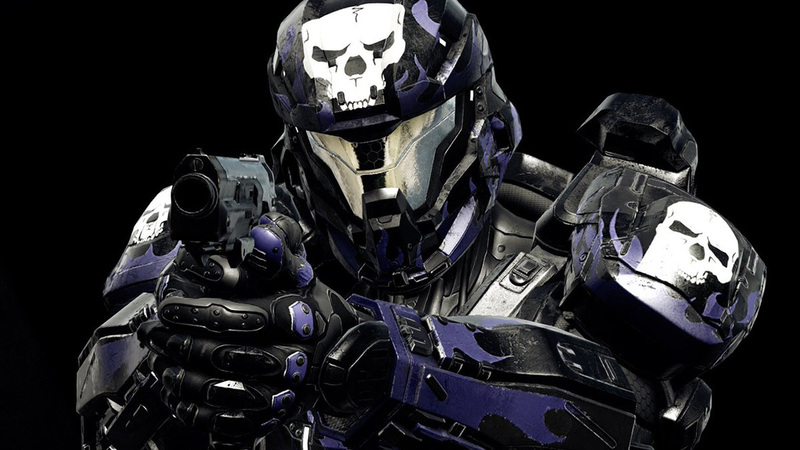 If you prefer montages, check out theater 3 which is showing @Hollowtide's MCC montage "Cypher." This week's sniper showcase comes courtesy of @Snyqpse. The music is catchy too and I may have watched this a couple times because of that. Rolling right along, we've got some machinima for you! I'm really glad to see that machinima hasn't fallen totally out of style. This is "Lineage: Huntress Volume II" from Ascend Hyperion. At 45 minutes long, this feature is a bit longer so get snacks beforehand! 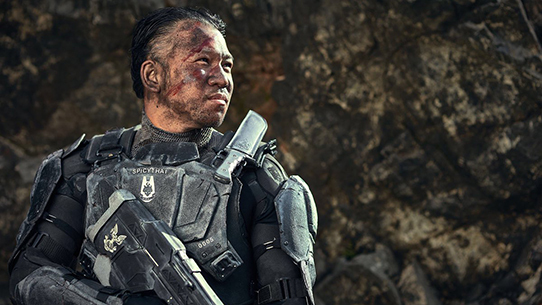 @Doncut97 is apparently really looking forward to Halo: Reach being added to MCC this year and took a stab at making a trailer for Noble Team. Check it out! A couple weeks ago now, HCS was in sunny Austin, TX for SXSW. While there, the HCS pros stepped outside their usual 4v4 gameplay and played some Big Team Battle in the HCS Big Team Battle Bonanza! This was SO much fun to watch. Listening to Bravo and Onset cast while watching Roy zip around on a Mongoose? Sign me up for this every time! If you prefer an assortment of goodies, this section is for you! On the off chance that you missed this at the beginning, you can watch it now that you've reached the end. This is a musical masterpiece. Once again, please hold your thanks. I know you all appreciate it very much!